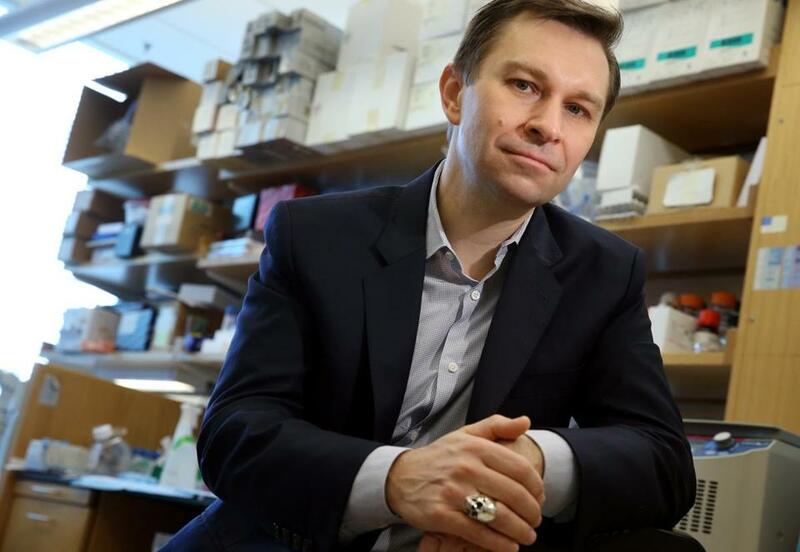 David Sinclair, professor of genetics and director of the Paul F. Glenn Center for the Biology of Aging, has been working on triggering an anti-aging enzyme called SIRT1. 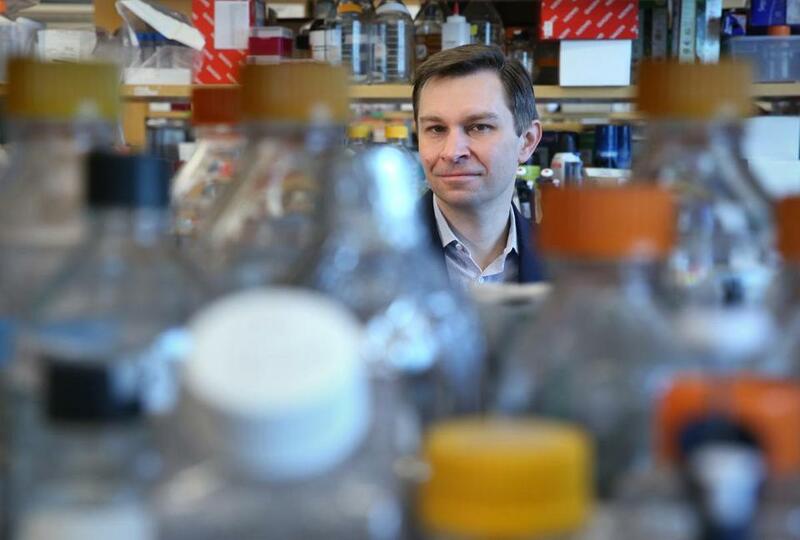 At a forum on Cape Cod earlier this month, Harvard scientist David Sinclair had the rapt attention of biotech executives and investors as he described treating 20-month-old mice with a molecule to restore their youthfulness. Before long, the geriatric rodents were outracing 2-month-old mice. The Fountain of Rodent Youth feat, outlined in March in the scientific journal Cell, hasn’t been replicated with humans. But researchers, who have long scoffed at the anti-aging claims made by companies pitching dubious products, are warming to the idea that serious science can be deployed to increase human longevity. Ambitious efforts are underway in Massachusetts and beyond to develop the first government-approved drugs to stretch healthy life spans. Some researchers are scrambling to repurpose a diabetes medicine to target age-related diseases. Others are working to boost levels of a key protein to increase blood flow and endurance, or to find a way to kill “zombie cells” that can send out toxins that cause age-related maladies. These approaches and others are part of an emerging field known as geroscience. Its advocates believe that the best way to treat a variety of illnesses — from cancers and heart disease to Alzheimer’s and macular degeneration — is to attack the aging process itself. For the hardest driving professionals, they’re aiming to downshift rather than to hit the brakes. The goal is to shift from 80 hours to 40 hours a week. Some in the field are studying the habits of supercentenarians, people who live to 110 or older, and Seventh-day Adventists, whose average life spans surpass by almost a decade the American life expectancy of about 79 years. Most eat in moderation, don’t smoke, exercise regularly, and reduce stress through ties to family and faith. About 70 percent of aging is dictated by environmental and health-related behavior, and about 30 percent by genes, said geriatrician Tom Perls, who directs the New England Centenarian Study at the Boston University medical campus. Perl said there are between 60 and 70 supercentenarians in the United States and about 350 worldwide. Many don’t encounter age-related diseases until after hitting the century mark. He said understanding the mechanisms of how they age supports a primary goal of researchers: “to compress morbidity till the very end of life” so people can be healthier and independent longer. aren’t obligated to pay for age-slowing drugs. To attract investment, and ensure reimbursement, drug makers must target such drugs as treatments for recognized conditions. Another issue is the structure of the National Institutes of Health, the largest funder of medical research. NIH is made up of more than two dozen labs and centers — many, like the National Cancer Institute, organized around specific diseases. Only one, the National Institute on Aging, is focused on aging itself, and it draws much less funding than other NIH centers. Geroscience backers have called for a more holistic approach. Jay Olshansky, public health professor at the University of Illinois at Chicago, argues the extension of healthy life would create a “longevity dividend” of economic and health benefits for individuals and society. Winning regulatory approval of the first treatment to slow aging could be a catalyst for the field. Researchers want to raise $75 million for a clinical trial of metformin, currently an FDA-approved diabetes drug, to treat a collection of age-related chronic diseases. A proposed six-year trial would test the now-generic drug on 3,000 people between 65 and 80 years old at 14 hospitals across the United States, including Brigham and Women’s in Boston. Other research programs focus on selectively eliminating zombie cells — formally called senescent cells — which stop dividing and secrete proteins causing inflammation and tissue damage. Using this approach, Unity Biotechnology in Brisbane, Calif., is testing medicines against osteoarthritis, eye diseases, and pulmonary disorders. But getting rid of zombie cells could have broader benefits. The aim is to “target age-related diseases as a group rather than picking them off one by one,” said James Kirkland, a gerontologist at Mayo Clinic in Rochester, Minn., who is a leader in the field. At last week’s biotech gathering in Harwich, David Sinclair said he plans to soon move forward with as many as five more early-stage biotechs. Another closely watched effort involves boosting levels of a molecule known as NAD, or nicotinamide adenine dinucleotide, to trigger an anti-aging enzyme called SIRT1. That’s what Sinclair’s team did in the Harvard research to increase blood flow and endurance in old mice. Sinclair’s former company, Sirtris Pharmaceuticals of Cambridge, also worked on raising SIRT1 levels. British pharmaceutical giant GlaxoSmithKline paid $720 million for Sirtris in 2008, in one of the highest-profile biotech acquisitions of that era. Ten years later, the Sirtris research hasn’t produced a drug based on the technology. But Sinclair still believes in it. At last week’s biotech gathering in Harwich, the Australian-born Harvard biologist said he plans to soon move forward with as many as five more early-stage biotechs. 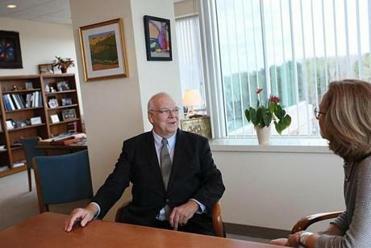 They’ll work under one roof in Massachusetts as a kind of Manhattan Project for age-slowing drug discovery. Elysium, a private company, hasn’t disclosed its sales of Basis. The product has attracted more attention than other anti-aging dietary supplements, in part because Elysium has enlisted as scientific advisers a half dozen Nobel laureates, including Harvard chemistry professor emeritus Martin Karplus. It has also attracted critics, such as former Harvard Medical School dean Jeffrey Flier, who last year called for more research on the ingredients in Basis. The company has since begun publishing clinical studies on the product’s safety and effectiveness in increasing and sustaining NAD levels. Basis could become a springboard for a family of treatments, including both consumer products and FDA-approved medicines, said Elysium chief scientist Lenny Gaurente, a professor at the Massachusetts Institute of Technology. Aging research has drawn other heavyweights, from genomics pioneer Craig Venter to a biotech spun off by Google’s corporate parent. All are quick to distance themselves from the quacks and self-styled immortalists who also populate the field — among them, purveyors of debunked age-retarding remedies ranging from human growth hormones to the promise of “young blood” transfusions. The potential market for drug developers is huge. More than 100 million Americans are over age 50, according to AARP. Few expect to bathe in Ponce de Leon’s mythic fountain. But for those hoping to live longer and healthier, clinical studies underway, or soon to begin, promise a parade of experimental treatments that could reach the FDA within five to 10 years. Some in the field caution they are in the early innings of a long game and have much to learn. Correction: An earlier version of this article mischaracterized the age of the mice used in a study.